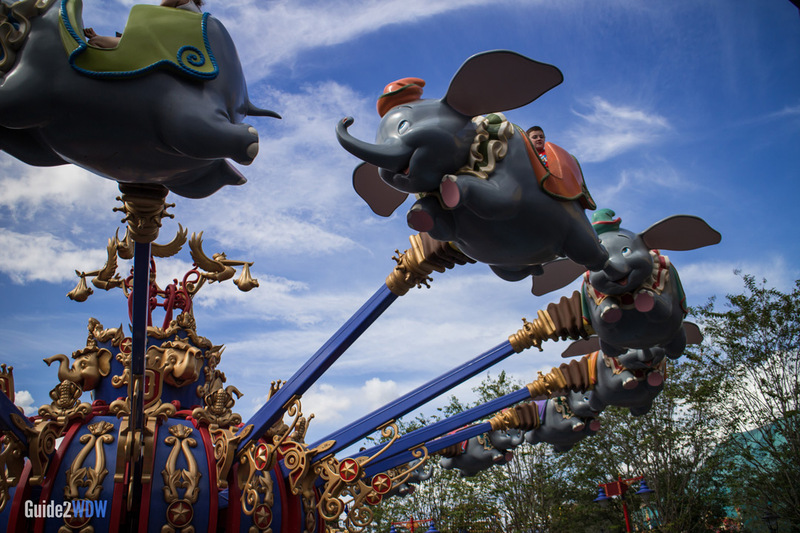 Ride in a flying elephant in this iconic Walt Disney World attraction. Dumbo the Flying Elephant is the iconic theme park spinner. 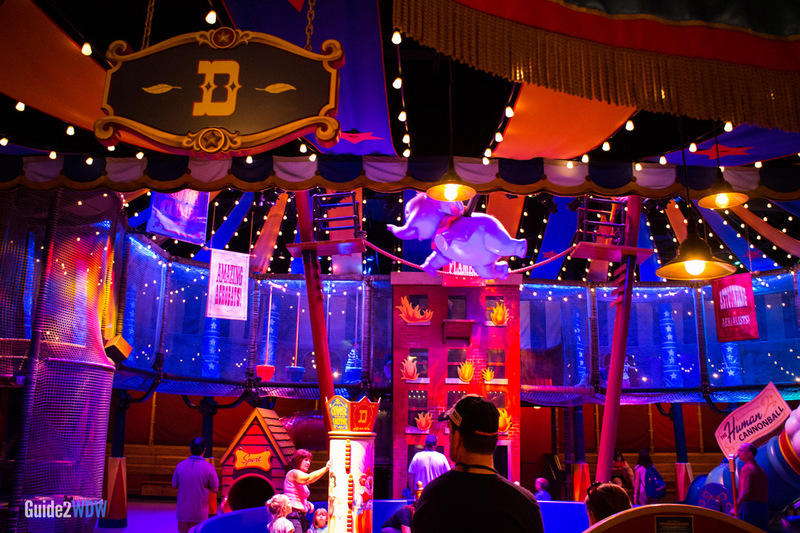 Pretty much every other aerial carousel where guests can fly up and down in the air in a circle are inevitably compared to the Dumbo ride, and it’s no surprise why. 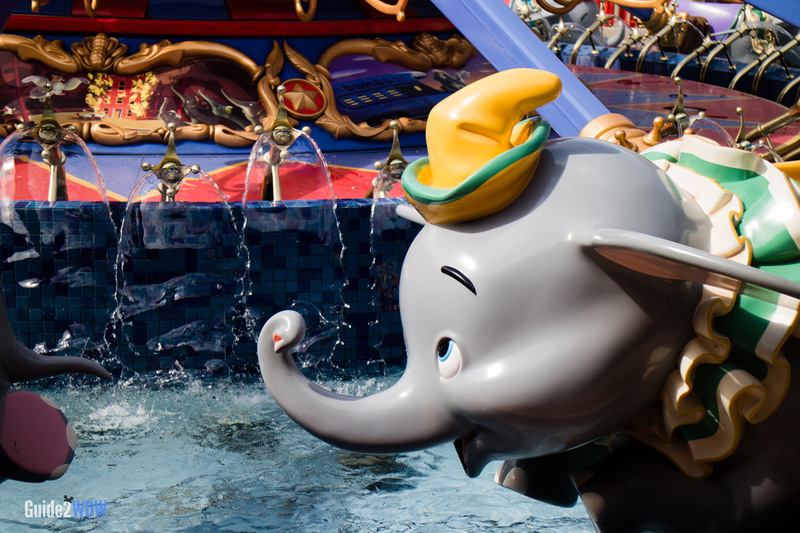 Since guests of almost any age can go on this ride, Dumbo is a rite of passage for many youngsters. The fun, albeit a bit too short, ride is a huge hit with kids. While it may not be on the top of many adult’s must-ride lists, the charm and whimsy of riding around in a flying elephant can make guests of all ages feel like a kid again and kick the nostalgia into high gear. Overall, this is an iconic Walt Disney World experience for guests young and old. 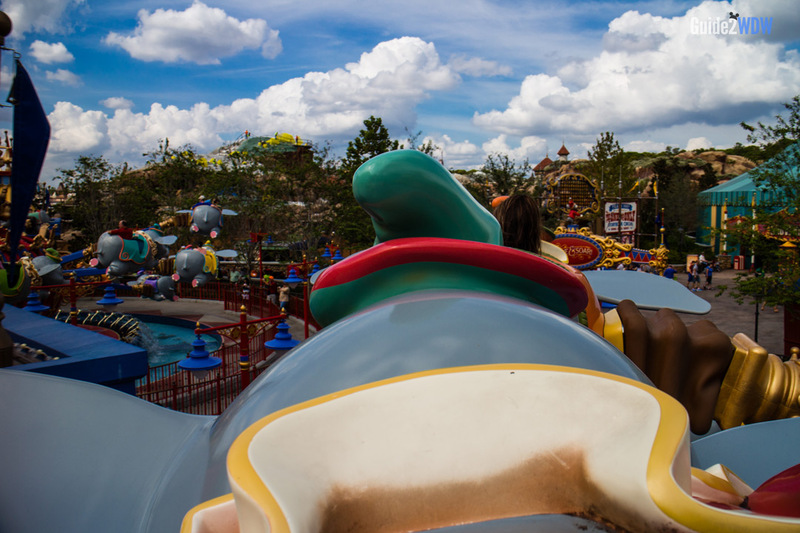 As part of the recent Fantasyland expansion, Dumbo was relocated from the center of Fantasyland to the Storybook Circus, on the Eastern side of the park. It was also expanded to have two spinners, new water and LED light effects, and an indoor circus themed waiting area. Guests are given restaurant-style buzzers and can soak in some air conditioning while they wait for their elephant to be ready to ride. The waiting area is basically a wonderfully themed interactive playground, which is a great place to take kids who want to run around a little bit. The doubling of spinners means a doubling of capacity, which has helped with notoriously slow moving lines at Dumbo. The new lighting effects make Dumbo a must-see at night, and one of the best sights in all of Magic Kingdom. This ride has been relocated to the Eastern side of the park. After you go through Cinderella Castle, hang a right to head toward Storybook Circus to find Dumbo. Have a kid who just needs to run around a bit? Head towards Dumbo’s line. The indoor circus waiting area is the perfect place for them to run around while the parents get some air conditioning. The ride vehicles are iconic flying elephants. Disney has worked to make the queue unique and fun.